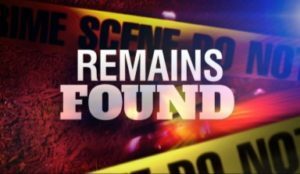 PALMDALE – Sheriff’s homicide detectives are investigating the discovery of human remains in an unincorporated area outside Palmdale. The remains were found around 1:15 p.m. Wednesday, Feb. 13, in a remote area near the intersection of 235th Street East and Avenue T, near Llano, according to the Los Angeles County Sheriff’s Department. A news photographer at the scene said the body was in a bullet- riddled, burned out vehicle out of view from the nearest roads. No details were immediately released about how long the remains may have been at the location, or the unidentified decedent’s age or gender. 2 comments for "Sheriff’s detectives investigate remains found near Palmdale"
What model was the car? My brother has been missing, please update me. You might try contacting the LA Sheriff ‘s office and see if they will release that information to you. Though if you gave them that info in your brothers case and it matches then they will call you.